A Retail & Shopper Marketing Professional with experience of working in India and the United Kingdom in the areas of Research & Consultancy. A retail domain expert with special focus on Shopper Marketing & Retail Brand Building, has worked with senior management across various companies on several high impact projects covering Brand, Retail & Shopper Convergence in India & Sri Lanka. 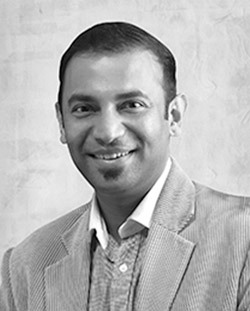 Bijitesh founded BrandVak Incorporation to help Brands create a distinct differentiation at Retail and develop strategies with the Shopper in focus. In his previous role, was heading the Consulting Division of RAMMS India and has worked with brands like PepsiCo, Marico, GSK, Britannia, ITC on specific retail focused projects. Earlier was heading the Corporate Transformation Division for Shining Consulting covering Retail, Product Branding and Design. While in the UK, have worked on key European Regional Development projects pertaining to economic development, project evaluation, sectoral studies, business development and market dynamics. He has also co-authored a number of publications in the UK. Bijitesh is an MBA from Leeds Business School, UK. 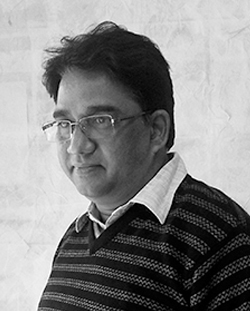 A Retail Brand expert, Anil has an experience of over 20 years in Core Designing for Branding, Retail and Advertising. Has contributed in enhancing brand imagery of various large organisations. Having worked for focused Corporate Branding and Consultancy, Retail Design Agency, and brings in a wider perspective of Shopper centric Design thought. Was heading creative teams of talented professionals in previous roles and was involved in all the major projects which involved Corporate Transformation, Retail & Product Branding, Product Design, Packaging & Retail Design.